Beautiful skin requires commitment, not a miracle. Our skin is affected so much by the pollution and bad environment that it becomes extremely important for us to take proper care. Here is a chance for you to learn chemical free soap making. After taking these classes, you could even start your own business and start selling soaps. · Introduction to soap, soap bases and soap making equipment’s. · You will learn to make different types of soaps like plain, chunky, embedded, scrub, granite, aroma therapy soaps and swirl techiques. · The classes will comprise of theoretical and practical learning. · Theoretical learning will include color wheel, introduction to soap material, soap perfume, soap color, soap cutting machinery, lye and soap recipes and natural colorants. · Practical learning will include making plain cold process soap bars ( cocoa, butter, moisturizing, almond, cinnamon, clove soap), perfumed and coloured soaps ( wheat germ soap). · Experts will taught you how to use soap machines and basic packaging of soaps. · Proper assistance will be provided by professionals. · Course fee is applicable for individual only. · This Experience is for 2 days and each day you will have 6 hours session. Experience the thrill of speed with Go Karting ! 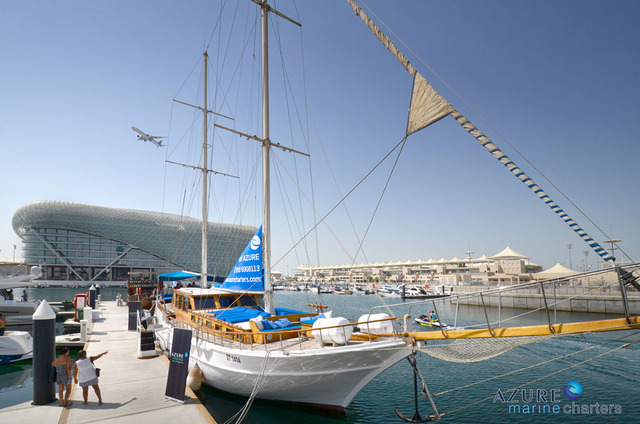 Experience Abu Dhabi's coastal attractions and nature on this exclusive cruise. Sky Diving - A jump to remember ! Experience heart-throbbing adrenaline rush in this Sky Diving Adventure !